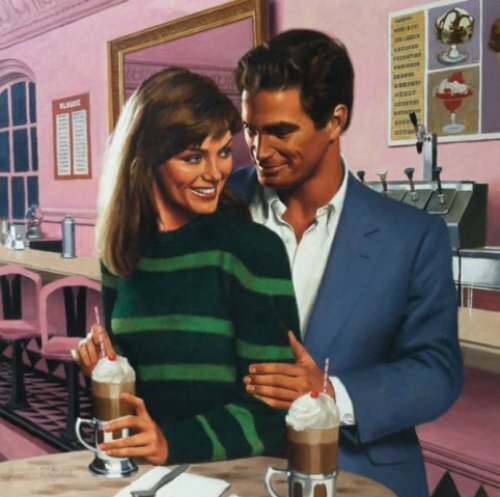 Description: Romantic couple in malt shop. 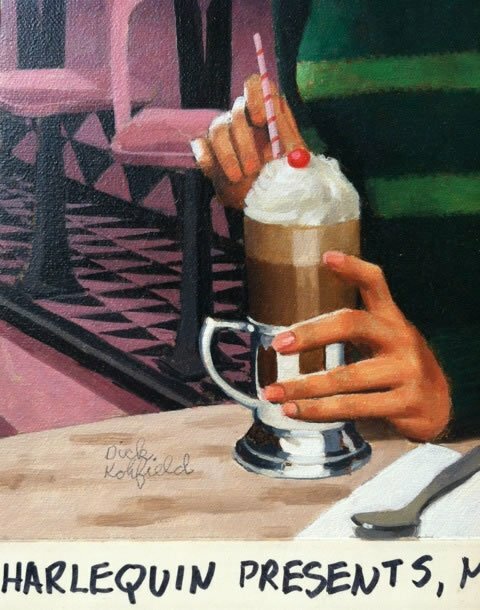 Comment: Kohfield was one of several elite illustrators who did an enormous amount of work for Harlequin and its offshoots. The stereotype of these books as the bodice-ripping fantasies of the suburban housewife has, I hope, been laid to rest by this point in time. The fact of the matter is that there was a lot of very good art created for such publications and Kohfield, whom I knew during my stint at Society of Illustrators was among the very best. I've just purchased a copy of the book and that will be included but which is not yet here to photograph. Publication Information	 Cover for A Matter of Principal by Leigh Michaels, published by Harlequin Books, 1990.